For his first solo exhibition in the UK, Tue Greenfort’s new works in this exhibition respond to the businesses that run the length of New Bond Street. 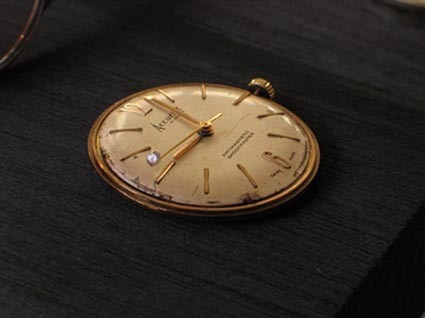 They query the function of luxury accessories, looking at how the notion of luxury has historically changed from the roots of capitalism to neo-liberalism. They also question the meaning of wealth and who benefits from its consumption. 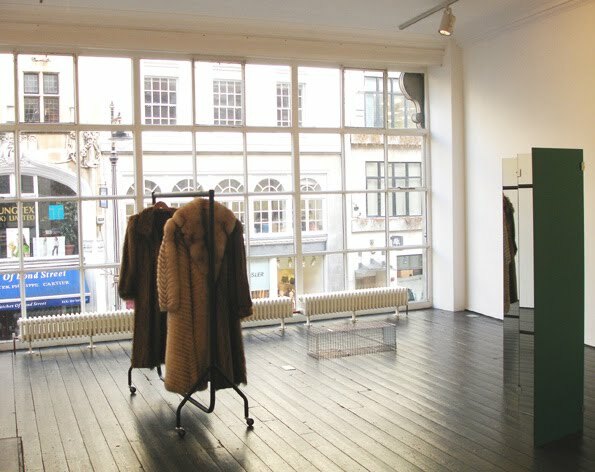 The installation 'Fur No Fur' (2006) makes reference to the former function of the gallery as a fur shop. Placing on a clothes rail a silver fox and mink fur stitched together for visitors to try them on in front of a fragmented mirror, Greenfort has graphically visualised the economic transaction taking place between those who give up a coat to the international charitable organisation P.E.T.A. (People for the Ethical Treatment of Animals) to receive in exchange tax-exemption. He has also included a mink trap to address how the institutionalization of anti-fur movements in the UK and the ban on mink farming has led to the industry moving to places like China where animal rights activism doesn’t exist. As a consequence, this shift has produced a disequilibrium in the bio-diverse ecosystem of the English countryside as, for the last two decades, minks have been endangering smaller rodents like water voles. IMAGES ABOVE: 'Fur No Fur', 2006. 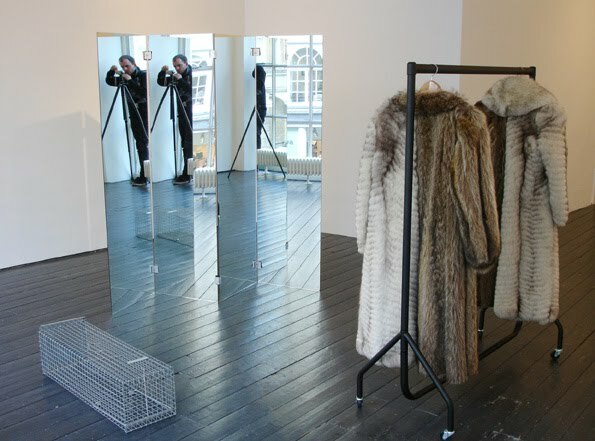 Installation of 4 elements: Mirrors (175 x 145 x 36 cm); Galvanised steel mink trap (23.7 x 83 x 7.5 cm); Two furs (each, approx. 120 x 53 x 21 cm); Aluminium clothes rail (145 x 120 x 50 cm). Courtesy the artist and Max Wigram Gallery, London. Here are some photos from Latitudes research trip last week to the United Arab Emirates in connection with the upcoming Sharjah Biennial, April-June 2007. We are working on the symposium for SB8 in collaboration with RSA Arts & Ecology.